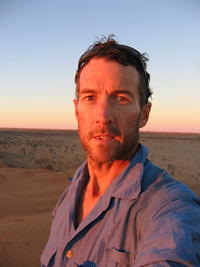 For our article yesterday, I sought some comments from renowned trail safety expert, Lucas Trihey, who has worked in a safety capacity at many of Australia’s biggest and most remote trail events including North Face, Big Red Run, Buffalo Stampede, Coastrek and Wild Endurance. Before becoming involved professionally in trail running Lucas had a background as a mountaineer and guide and has worked from Australia to Asia, Africa and Antarctica. 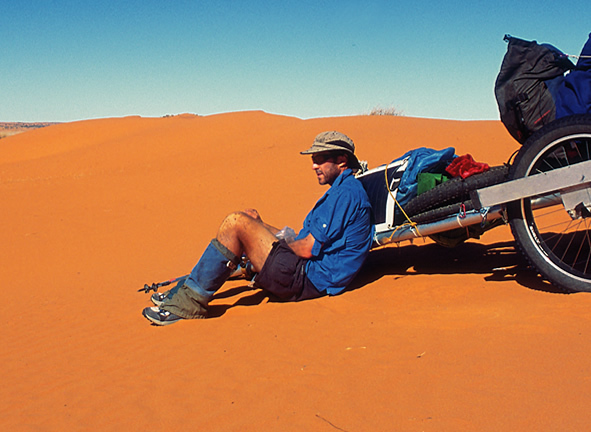 He’s also explored deserts including the first unsupported crossing of the Simpson Desert over 17 days pulling a cart with all water, food and supplies for the 400km trek. Trail running events aren’t much different to lots of other businesses – if race organisers promise certain things they need to deliver. Organisers also need to make sure they meet or exceed “industry best practice” – otherwise they might end up in court defending their decision to cut corners. The great thing about the recent National Trail Running Conference was that we started to gather a consensus on exactly what “industry best” actually looks like. Runners also need to act sensibly and to contribute to their own wellbeing. I guess that because it’s a relatively new and developing field there will be some race directors (RDs) and runners who don’t know what they should be delivering or expecting – so that grey area is open to confusion. As a general rule RDs need to take their responsibilities very seriously – around the world too many runners die at poorly conducted events. And runners need to be aware that a trail run, by definition, is more remote and is harder to manage, compared with a road run so they should be more alert and prepared. I think that a lot of these discussions can be answered by looking at how the race is marketed. If it’s portrayed as having a marked course, then my belief is that the race director has a responsibility to mark the course really well. There was a lot of discussion on this topic at the recent National Trail Running Conference with interesting contributions from Andy Hewat (B2H and Great Ocean Run), Tom Landon Smith (TNF100), Sean Greenhill (Mountain Sports) and Tim Day and Paul Charteris (Tarawera) among others. What came from these discussions was an understanding and consensus that good marking takes a lot of time. It can’t be rushed and it isn’t something that an RD can ask a mate to do on the afternoon before the race. The foundation stone of all good course marking stems from ONE important factor. Once RDs take this concept on board they always mark better courses. Once RDs understand that they are often dealing with fatigued runners who are behaving with a loss of cognitive function that’s equivalent to a drunk person, they do mark a better course! But that doesn’t let runners off the hook. I’ve read comments on Ultra168 about map reading skills which were, ahem… “interesting”. I don’t believe that runners can step away from some responsibility for their own welfare. Markers can be removed by kids or crazy adults. Birds and cows have been known to remove them too. Runners need to listen at race briefings – the typical key message is that “the maximum spacing of markers is 500m on straight sections (and much closer together where there are junctions and side tracks). If you don’t see a marker after 500m you may be going the wrong way. Trail running isn’t taking place around an oval or a brightly lit city street, so trail runners need to understand that it’s a less controllable and less predictable environment. They need to keep their wits about them. All trail runners should have a good understanding of the course, where the key features are, the big hills, key junctions and turns. If you aren’t seeing the things you should be seeing you’ve gone off the course – so backtrack till you find it (please!!!). Most of the races I work with insist on the runners carrying a map. Some of the reason for this stems from Race The Kimberley 2011 and the WA Govt Report that followed that disastrous race where a number of people were badly burned. One of the recommendations was that if the runners had maps, they would have had a much better chance of understanding where they were on the course and this might have let them make more informed decisions about the best route to escape the flames. A map weighs just a few grams, so it’s likely that RDs will continue asking runners to carry them. As organisers we realise the likelihood of you needing a map is very small, but for just a few grams it’s a small thing and if something bad happens it just might make a difference. I think there’s a place for events that aren’t marked but RDs of those events need to be very careful that the runners understand what this means and probably should have some sort of qualifier to weed out people who can’t do their own navigation. Many thanks to Lucas for his words and contributions. As the organizer of a number of runs which have minimal or no course markings (Alpine Challenge 100 / Prom Run 100 / Razorback Run, I fully agree with Lucas’s comments. The problem for RD’s is getting runners to understand the importance of reading the course notes, understanding them and marking up their maps before the run. Runners who do not do this face the greatest risk of getting lost – you cannot just rely on a GPX file. Additionally runners need to carry their maps with them – not in the bottom of their packs. They need to check them when they get to junctions. There are no exceptions to this for any runner – in fact its often the fastest runners who make mistakes because they won’t stop at junctions to check which way they should be going.